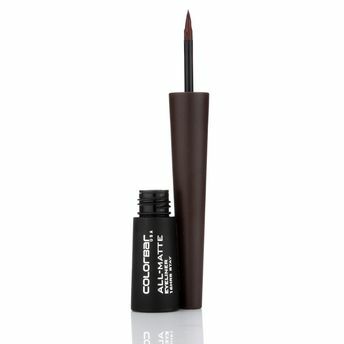 Say goodbye to your liquid eyeliner woes and say hello to this Colorbar's high-performance eyeliner with a quick-drying matte formula that lasts upto 16 hours. Water-proof, smudge-proof, (basically life-proof), the All-Matte Eyeliner's pro applicator delivers the deepest pigment with the smoothest glide for you, for everyday. Explore the entire range of Eyeliner available on Nykaa. Shop more Colorbar products here.You can browse through the complete world of Colorbar Eyeliner .Alternatively, you can also find many more products from the Colorbar All-Matte Eyeliner range.